Dubai, the dazzling global city of the affluent Middle East. Being one of the most prosperous business and cultural hubs in Asia, there’s no surprise that the 2005 census noted a significantly higher estimate of net immigration of non-citizens as compared to previous years. These are 20 Mistakes when applying to jobs in dubai! Don’t get caught in one of the most common mistakes when applying to Jobs in Dubai – relying on someone who you PAY to get here. Well, you’re desperately searching for a job which provides you with at least a decent income to sustain your family’s lifestyle and nothing comes up. Voila! Out of nowhere, a Dubai employment agency appears and promises to get you a job along with a guaranteed income. The catch? Just a ‘minor’ up-front fee. Seems pointless right? Especially when you’re promised a 100% refund if you’re not satisfied. This is a very common mistake when applying to jobs in Dubai – most people think someone will just hand them a job because of their qualifications or because they are a recruitment agent, many of whom are unscrupulous. These so-called ‘companies’ are interested in nothing but scamming you and grabbing all the cash you possess. While some employment agencies might actually be earnest and want to help you out, watch out for the tricky ones and be smart enough to know what to do. One of the most looked over mistakes when applying to jobs in Dubai. Relationship building is key – whether it is a recruitment agent or a connection. Taking the time and patience to build a personal relationship with you recruiter or networking connection will pay leaps and bounds. Not only will they share their positive feedback with their friends, you’ll also be the first person they call when a golden job opportunity in Dubai arises. Your agent is your contact in Dubai or in your home country. They will have done this countless numbers of times before. Maintain a positive relationship with them. Just looking for jobs on the internet can be one of the mistakes when applying to jobs in Dubai. While the internet’s probably your best bet at landing a job, it’s not the only search method. Try to look for jobs using other sources like Dubai newspapers, magazines, and of course, your trusty social networking sites! Gulf Today and Khaleej times are two of the most read! Contact the UAE embassy and figure out what you need to do to enter and relocate into the country, along with figuring out how to apply for your visa. Simultaneously, check your passport validity and make sure all your other official documents are in order. 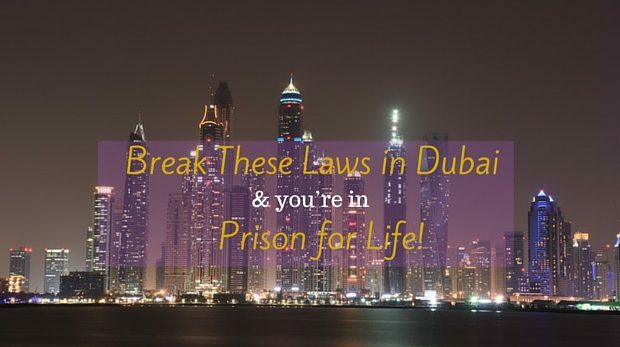 If you are an expat, upon arriving in Dubai, you must have applied for a resident permit. The permit is valid for only three years, but will register you with the Dubai National Identity Authority which is required for all residents of Dubai. You will then receive an NIC (National Identity Card) which contains all personal bio-data which is used for Identification everywhere in Dubai and the UAE. Make sure you have completed all the correct documentation for the resident permit and do not miss any details as this can slow down the application procedure and in some instances invalidate it. Too many people make this mistake. You can NOT apply to a job in Dubai if you are not qualified for the job. 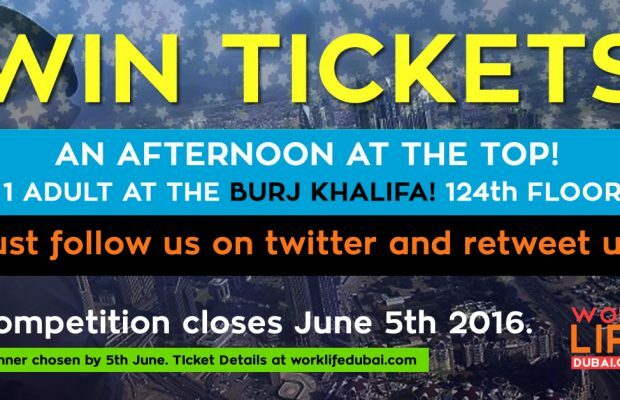 Spending hours on facebook writing in comment boxes and forums is NOT going to get you a job in Dubai. Posting your CV everywhere is NOT going to get you a job in Dubai. When you are not qualified for a job is one of the most serious mistakes when applying to jobs in Dubai – you will not get a job like this. Wasting both your time as well as your recruiter’s time when you’re clearly aware that you’re not remotely qualified isn’t exactly the smartest thing to do. Apply for jobs according to your skills and experience instead and save the other jobs for the future! When doing a list of common mistakes when applying to Dubai you can not miss Interviews. A crucial point and something that old and new job seekers need to constantly practice. Messing up your entire interview just because of one simple question isn’t the most difficult thing to do. Especially if you’re not prepared. If you’re attending several interviews, go through all of those company’s strategies. Each company in Dubai is different hence, each of their strategies are obviously bound to contrast. Straighten up and flip through some common interview skills on the net beforehand. Practice your interview skills with others, your friends, co-workers or people who you trust. Often, recruitment agents over the phone will also interview you. This is probably the simplest yet most unnoticed reason for a job opportunity to go down the drain. For example, Muslim women might be unwilling to shake a man’s hand in public. It’s advisable to wait before extending your hand to whoever interviews you, be it a man or woman. Bring out those long lost manners and make sure to use them! In Dubai, being polite to Arabic speaking managers and arabs in general goes a very long way. Arabs are naturally very hospitable people and will go out of their way to make you feel welcome. Work this to your advantage! You may think that your home country is very flexible and that people are easy-going. Do not make this mistake when applying to Jobs in Dubai. Recruiters will often be from Western countries where it is the norm to be highly professional, and using formal language in interviews and applications. While social anxiety is nothing to be ashamed of, overcoming it will definitely help increase your job feed. Get in touch with your former bosses, colleagues and anybody else who might be able to help you succeed and land your job in Dubai. It is important to network in dubai, look for online meetsups, add people on LinkedIn, take people out for coffees and dinners. This is your chance to shine with potential workmates, managers, and people who may be able to refer you on. Rest in peace English, you didn’t deserve your tragic demise. Shot to death by a bunch of job hunters with horrible grammar. Look through your resume, spot and correct those tiny errors. Recruiters will at least be able to look through your resume without crying in pain. Spelling mistakes when applying to jobs in Dubai will ensure a recruiter never looks at your resume. An easy thing to fix. If you come from a country where English is not your first language make sure you get it checked by a native speaker or writer. Spelling and Grammar is a very easy thing to fix, ensure you have everything spelled right, flowing right on the page, and is not presented badly. If you are not from an english speaking country ensure you have your CV and covering letter checked through by a native english speaker. Focus in on what you want to do. Being too open or broad in your search is one of the most typical mistakes when applying to jobs in Dubai. Keeping your options wide is a smart move. However, when done on a larger scale, it could wreck your search. Don’t look for just any job, look for the PERFECT job. You need to look for a job that you can transfer your skills to easily and where the employer will not have to re-train you completely from scratch on the basics. For example if you are applying for a job which involves Sales, make sure you understand the full Sales lifecycle and you can communicate this to people in interviews. If you have been a particular type of sales person, for example Pre-Sales, make this known to the employer so they can understand where you would fit into the company if that particular job you are applying for is not suitable. Not visiting the country is one of the deadly mistakes when applying to jobs in Dubai. Assuming you’re approaching a job in Dubai from somewhere other than the city, watch out. Dubai’s work lifestyle, when compared to your country can be extremely different. The laws are different, the working conditions are different, the people are different. Dubai is a hotbed of a mix of nationalities and can be overwhelming to some. 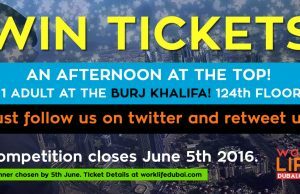 Pay Dubai a visit and get comfortable with the peculiarities of working life. The timings of work and free time in particular. Timings can be sometimes very early morning starts with finishing times at 2pm. Get used to the climate and atmosphere of work, leisure and entertainment. This is a very important point for all Dubai visitors. You must have at least visited the country in prior to moving. Dubai is not a very forgiving place if you have no money, no accommodation and no friends to speak to. Make sure you have each of these things before moving. Imagine facing this question in an interview, it’s not exactly very pleasant. Again, an extremely common rejection reason: – Lack of online presence. When a Dubai recruiter puts your name through Google or any search engine, for that matter, does it pop up? If not, get working! Vital sites to get your name up on include LinkedIn, Plaxo and Zoominfo. We’ve written a handy guide on how to get a job in Dubai using Linkedin! Language is very important in Dubai and is one of the quick-win mistakes when applying to jobs in Dubai. Learning an extra language is a plus point to any recruiter, especially recruiters from UAE. Not only will learning Arabic help you out on the streets and when conversing with locals, making an attempt to learn the local language will show recruiters how dedicated you are on your search for a job in Dubai! Whilst Arabic is not a total essential in Dubai, it will make recruitment managers and business owners in particular much more warm when you apply regardless of nationality. There are not enough bilingual skilled workers from other countries in Dubai as Arabic is quite a hard language to learn, but often people do not realise the benefits of it when working in an Arab speaking country. You may think that Dubai is full of U.S and U.K expats but most of them do not speak Arabic. Do you get up 10 minutes before an interview and throw on what comes to sight first? Buckle up! Sloppy, wrinkled or/and dishevelled clothing or hair are highly unprofessional and indicate your lack of seriousness. Ladies, watch out, don’t wear short skirts or any provocative tops to your interview, Dubai frowns upon skimpy attire. Play it safe and make sure you look dazzling! Definitely one of the common mistakes when applying to jobs in Dubai. We hear this all the time from recruiters, and it’s something you can fix easily. Dress well! Does your resume still feature skills used in the 1980’s? Update them! Shine the spotlight on appreciable and modern skills you’ve picked up lately! Dubai Recruiters are looking for skills that will grow their business. They want candidates who are up to date, trained in their particular field and know the market fully. Certainly one of the mistakes when applying to jobs in Dubai, as recruiters want to see what you can do now. Not what you could do twenty years ago. As they say, you are only as good as your last job! For example if you are an accountant make sure you are fully versed on UK Accountancy laws and regulations. Companies will look for your skills that you are able to transfer to their company. Having unrealistic expectations isn’t going to disappoint anyone other than you at the end. However, at the same time don’t degrade your worth. Know your skills and weaknesses and use them to your advantage! If you are underestimating your value, you are making one of the major mistakes when applying to jobs in Dubai. Recruiters will try and get as much as they can out of you, and pay you as little as possible in the process. Don’t sell yourself short. Equally, don’t over estimate what you can offer. Dubai invites candidates from all over the world, so balance your applications according to your skill level. While Dubai might not be your home town, getting to know the city and considering it home might be your lucky charm. 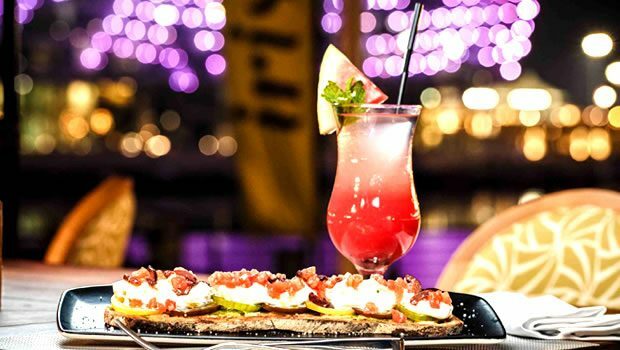 While you definitely shouldn’t consider Dubai the same as the previous city you might’ve lived in, appreciating the city will leave a lasting impression. A lot of potential candidates come to Dubai wanting to get rich quick. This is the wrong attitude to have. If you have the right skills and talent, you won’t fall into this trap. 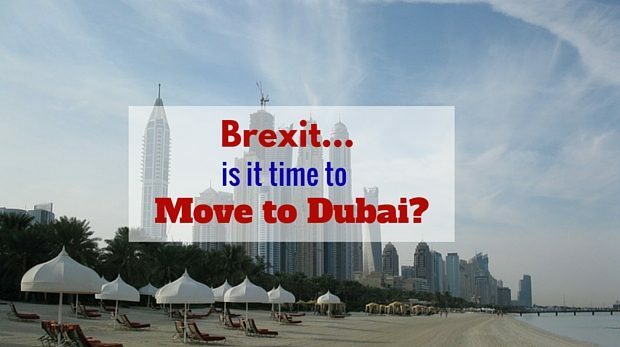 You must have some kind of passion for moving to Dubai. There is no point thinking you will have a better life just because someone told you. 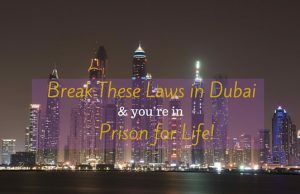 Dubai is not for everyone, but it can be if you have a passion for the weather, the lifestyle and the laid back attitude to many of life’s problems! Do you send the same resume to 50 companies without changing a single thing? Think again. Recruiter’s can tell the difference between a copy-paste resume and a resume modified according to their company’s taste. Tune your resume to reflect the needs of different companies. One of the top mistakes when applying to jobs in Dubai, candidates end up copying and pasting their resume to each job application – stay away from this practice. Look at the job role and skills and match them to your skills. On a job hunt, let it be major or minor, things are going to get messy. Considering the number of jobs Dubai offers, applying for innumerable jobs without a plan is pretty much one of the biggest mistakes when applying to jobs in Dubai. Keep detailed lists of the positions or companies you’ve applied for and stay on top of everything. Maintain and chase recruitment agents and keep a folder of all opportunities you have applied for. Time to celebrate, you got the job! While you’re blessed with a wave of relief, don’t let your guard down. No job lasts forever. Update your resume every once in a while and shoot for the stars! Keep moving jobs if you have to, or if you are not getting the opportunities you want in your current job. You will find in Dubai that people move quickly between jobs because other employers are willing to pay far more for the same skills. Don’t get stuck in a job for years that is going nowhere! So there you have it, 20 Mistakes when applying to jobs in Dubai. Can you think of more? Let us know. 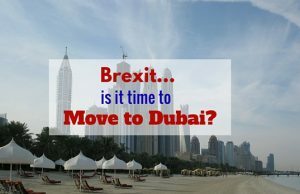 What do you recommend for people wanting to move to Dubai and the mistakes to avoid? What advice can you give?